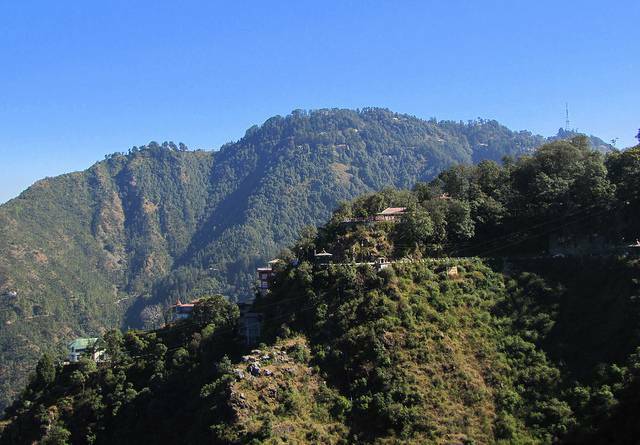 Lal Tibba is the highest point in Mussourie with some unmatchable views of the Himalayas. The canvas of view startsin front of you with darker dense woods transforming into folds and mounds of deeper blue which then fade into pale pastel blue until it changes to the brilliant snow white peaks of the stretching Himalayas. This wide angled masterpiece of nature is a really breathtaking sight. There is also an observation tower here with telescope that gives you better and clearer views of the peaks of Himalayas.